It’s Follow-Up Friday: Bad Board Games edition! 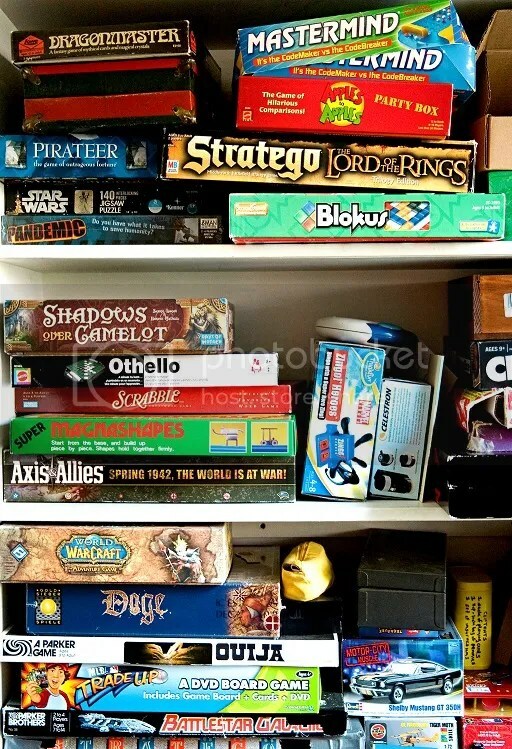 And today, I’d like to return to the subject of board games. Now, for the most part, I try to keep the spirit of blog posts here positive. We share puzzle news, explore history, and talk about puzzles and games we enjoy. It’s more fun to write about things that excite me and that I enjoy about puzzles and games than to wallow or sling mud. That being said, sometimes you can’t help but poke a little fun at some of the misfires in the board game industry. Jimmy Fallon, host of The Tonight Show, is apparently a big board game aficionado — though, according to the games he lists, he hasn’t checked out a new game from the last 25 years or so — and he’s seen his share of stinkers. Honestly, considering some of the games and stunts he plays with celebrities, I wouldn’t have been surprised to see Jimmy play a round of Ring Around the Nosey with a Victoria’s Secret model or the latest winner of Dancing with the Stars. What board games do you think deserve to be featured in a future edition of this segment, fellow puzzlers? I know Monopoly takes its fair share of abuse from board game fans these days, but there must be more worthy contenders out there. I’d love to hear from you! This entry was posted in Games, PuzzleNation, Puzzles and tagged bad board game, Bigfoot, Board game, Do Not Game, Follow-Up Friday, games, Geeking Out, Jimmy Fallon, Monopoly, Pop culture, PuzzleNation, Puzzlin' fool, Ring Around the Nosey, The Tonight Show, Titanic, Tonight Show, Vanilla Ice by gmdirect. Bookmark the permalink.